The Rodenhouse Grip-Lok auto-feed screw gun handles collated screws up to 3 inches long. . 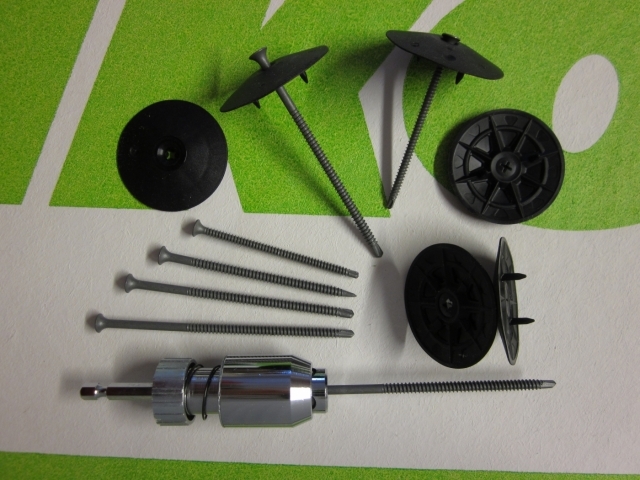 The screw gun has a tip that matches the shape of special washers used to hold rigid foam to a wall or ceiling. 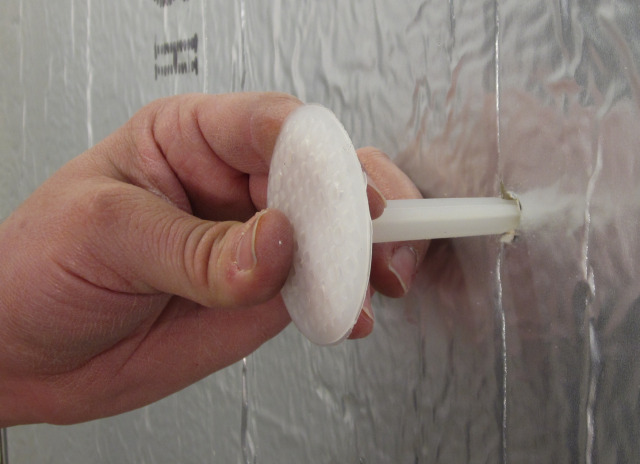 The Grip-Lok system allows installers to quickly secure sheets of rigid foam in place. 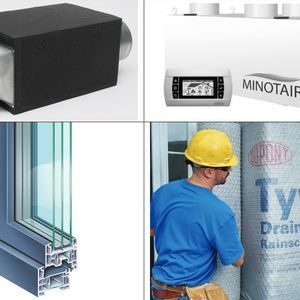 The nine products featured here include three insulation products (Amdry subfloor panels, Cornell nailbase panels, and Staycell One Step 255 spray foam), one manufacturer of fasteners to secure rigid foam (Rodenhouse), one window distributor (Zola), a new gasket-in-a-roll for installing windows (Tremco ExoAir Trio), one new type of siding (Apex Ultrex fiberglass siding), one HVAC product (a fan to move heat from one room to another), and one plumbing item (HydroRight Dual Flush Converter for toilets). Full disclosure: while these products are intriguing, I can’t vouch for their durability or suitability for your project. GBA welcomes feedback from readers who have used these products, so that our reviews can better reflect the collective wisdom of the GBA community. 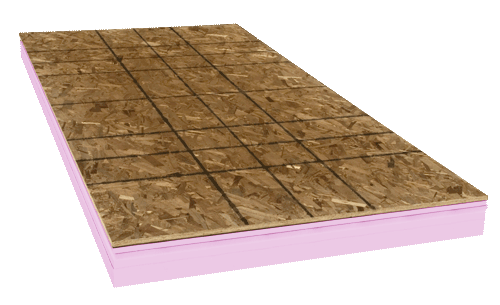 AmDry panels are OSB subfloor panels designed to be installed on a basement slab. 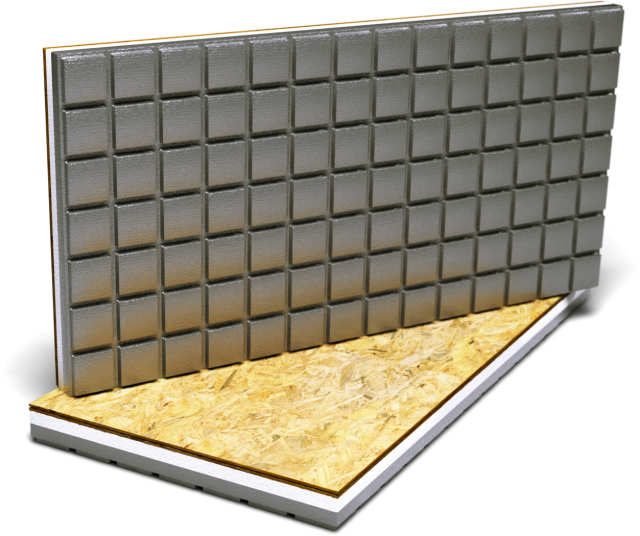 AmDry panels include a dimpled bottom (like DriCore panels) as well as a layer of rigid foam insulation (like Barricade panels). AmDry panels are available in three different thicknesses (R-7, R-9, and R-11), all of which include a layer of expanded polystyrene (EPS) insulation. AmDry panels measure 2 ft. by 4 ft., so they are larger than competing products (which measure 2 ft. by 2 ft.). AmDry panels are sold at Home Depot. The price for an R-7 panel ranges from about $20 to $23. AmDry panels are manufactured by Amvic Building System in Toronto, Ontario, Canada (416-410-5674 or 877-470-9991). The Cornell Corporation of Cornell, Wisconsin, has been selling nailbase panels to the roofing industry for years. Their nailbase panels consist of a layer of extruded polystyrene (XPS) foam bonded on one side to OSB. A nailbase panel resembles a structural insulated panel (SIP), but it has OSB on just one side instead of two. The company is now promoting a nailbase panel, ThermaCal Wall, designed for walls. These panels are designed to be installed on the exterior side of a sheathed wall, either as part of a new construction project or a retrofit project. 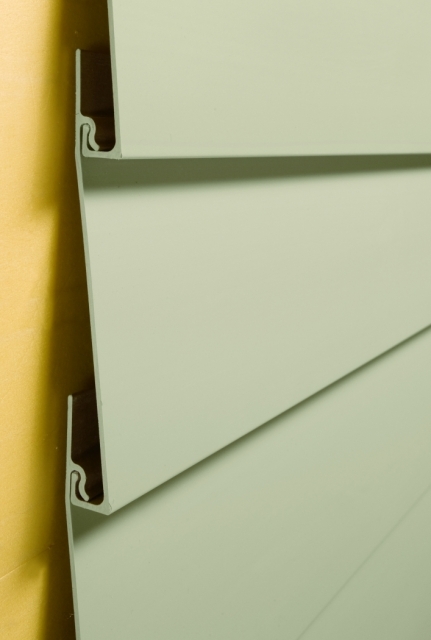 ThermaCal panels are available in thicknesses ranging from 2 inches (R-8) to 8 inches (R-38). So what makes a nailbase panel designed for walls different from a nailbase panel designed for roofs? I called up Mike Coughlin, the president of Cornell, to find out. “It’s the same stuff,” Coughlin admitted. Coughlin told me that the company’s 3-inch-thick nailbase panels sell for between $2.00 and $2.50 per square foot. The main drawback to using nailbase panels is the high cost of shipping. If you live near Cornell, Wisconsin, however, you are in luck. ThermaCal wall panels are manufactured by the Cornell Corporation of Cornell, Wisconsin (888-439-6411). 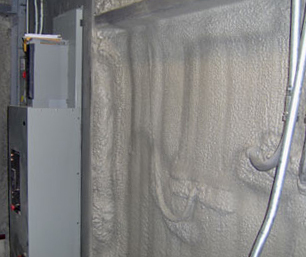 An insulation manufacturer, Preferred Solutions, is promoting a closed-cell spray foam (Staycell One Step 255) that has passed fire safety tests demonstrating that the foam resists ignition even when it isn’t covered by an ignition barrier or a thermal barrier. If approved by a local code official, Staycell One Step 255 could be installed in a crawl space, basement, or attic, without being protected by an intumescent coating or drywall. According to John Stahl, the president of Preferred Solutions, Staycell One Step 255 meets the requirements of a thermal barrier (a more stringent standard than is required for an ignition barrier). It can therefore be used, uncovered, anywhere that foam needs an ignition barrier or a thermal barrier. When installed on a flat or sloped ceiling (for example, against the underside of roof sheathing), Staycell One Step 255 must be installed at a minimum thickness of 1/2 inch to perform as an ignition barrier or a thermal barrier. When installed on walls, the Staycell One Step 255 must be installed at a minimum thickness of 1 inch. The foam cannot be used on both the walls and the ceiling of a room unless at least one of these surfaces is covered by drywall or an intumescent coating, because the foam has not passed fire safety tests when installed on both walls and ceilings. Because Staycell One Step 255 is expensive, it is often installed as part of an insulation system consisting of two different types of spray foam: a less expensive base layer, followed by an exposed layer of Staycell One Step 255 to protect the underlying foam from ignition. The fire safety testing procedures for spray foam insulation are complicated and somewhat controversial, so builders should check with their local building code official before proceeding with plans to install Staycell One Step 255. According to the manufacturer, Staycell One Step 255 has been tested in accordance with ASTM E-84, UL 723, and NFPA 255; these tests are designed for sample thicknesses up to 4 inches. The results showed a flame spread index of 25 and a smoke developed index of 300. The two-layer hybrid system (consisting of a less expensive spray foam base layer and a top layer of Staycell One Step 255) has also undergone a fire performance test in accordance with UL1715 (a large-scale room fire test). This UL1715 test was performed two ways: once with 5 inches of spray foam in the walls, but no spray foam in the ceiling or roof, and once with 8.5 inches of spray foam on the ceiling, but no spray foam on the walls. The test was not performed with spray foam in both the walls and the ceiling. For more information on ignition barriers and thermal barriers to protect spray polyurethane foam, see Thermal Barriers and Ignition Barriers for the Spray Polyurethane Foam Industry. Staycell One Step 255 is manufactured by Preferred Solutions of Cleveland, Ohio (800-522-4522 or 216-642-1200). Special 2-inch-diameter washers (Thermal-Grip washers) designed for attaching rigid foam to walls and ceilings with screws. The washers have prongs on their back sides, so that they stay in place when pressed lightly onto a piece of rigid foam. An auto-feed screw gun (the Grip-Lok) that handles collated screws up to 3 inches long. 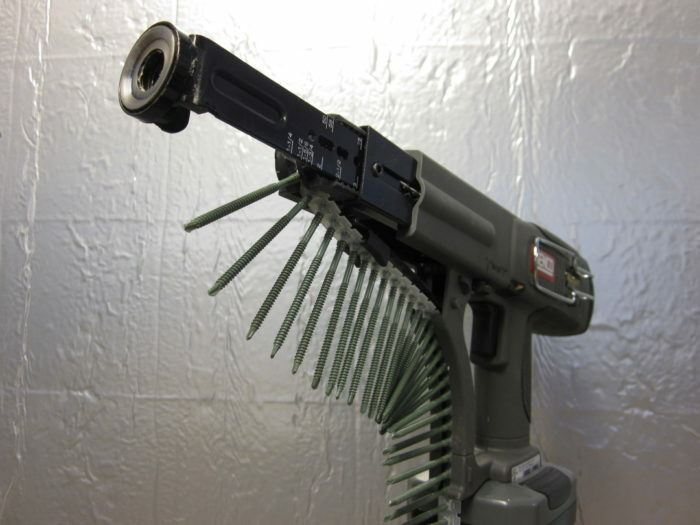 (See a photo of the Grip-Lok screw gun at the top of this page.) The screw gun has a special tip described as a “female mate” to the washers used to hold a piece of rigid foam in place. 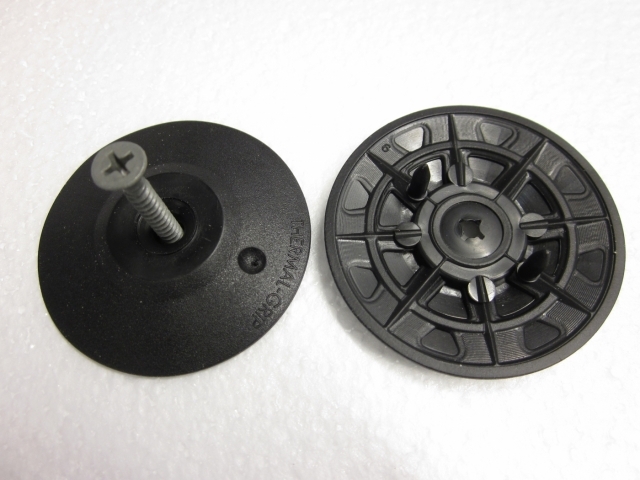 The pronged washers can be pre-positioned on a piece of rigid foam and will stay in place until the installer comes along with the auto-feed screw gun and places a screw in the center of each washer. A type of plastic fastener (Plasti-Grip PMF fasteners) for attaching rigid foam to concrete walls. The fasteners are designed to be inserted into a 5/16-inch-diameter hole drilled into the concrete. Plasti-Grip PMF fasteners are available in several lengths up to 5 3/8 inch. Special washers (Thermal-Grip brick-tie washers) that integrate with barrel-style brick ties; the washers are designed for use on wood-framed walls that have foam sheathing and brick veneer. Rodenhouse fasteners are available at L&W Supply centers, U.S. Gypsum centers, and in many locations where Dow, RMax, or Owens Corning rigid foam products are sold. Rodenhouse, Inc. is located in Grand Rapids, Michigan (800-249-4747 or 616-454-3100). The latest U.S. distributor of high-performance triple-glazed European windows is Zola Windows of Louisville, Colorado. OK, Florian. The windows are made in Poland by a window company known as “Producenta okien ktÃ³ry nie moÅ¼e byÄ‡ nazwany” (the window manufacturer that cannot be named). Zola offers casement windows, tilt/turn windows, fixed windows, and sliding glass doors. The company offers different frame options, including tropical hardwood frames, aluminum-clad wood frames, and vinyl frames. Most of the windows sold by Zola are triple-glazed. The company offers three levels of thermal performance. The lowest level is called Classic; these windows come with double glazing. The intermediate level is called Thermo; these windows are triple-glazed. The top level is called Thermo Plus Passive House; these windows have aluminum-clad wood frames and triple glazing that meet Passivhaus requirements. Zola Thermo Plus windows range in cost from an average of about $60 per square foot (for a house with relatively large windows) to about $90 a square foot (for a house with windows of a more traditional average size). Most windows are shipped from Poland to the U.S. in a dedicated shipping container. Zola has established a set price of $4,800 per order for shipping. The lead time from order to delivery is about 15 to 18 weeks. Zola Windows is located in Louisville, Colorado (303-578-0001). European builders have long known that gaskets and tapes do a better job of sealing air leaks through cracks than caulk or spray foam. Tremco Sealants has come up with a new gasket material that comes in a roll, ExoAir Trio, to seal the crack between window frames and window rough openings. The product can also be used to seal other, similar cracks. 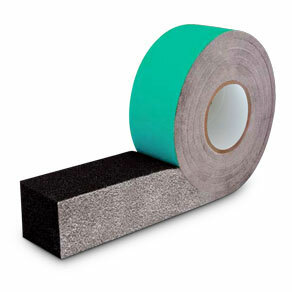 The manufacturer describes ExoAir Trio as a flexible open-cell polyurethane foam tape that is impregnated with acrylic resin. The product expands after it is installed, creating an airtight, vapor-permeable seal. The product is compatible with vinyl, wood, concrete, aluminum, and most other building materials. The gasket material is available in several widths, and in three different thicknesses (designed to accommodate gaps from 3/16 inch to 3/4 inch wide). When installed on a window, the tape should be installed before the window is inserted into the rough opening. First, the sill tape is installed on the rough sill. Then a glob of caulk is installed in each of the four corners of the rough opening. Next, the tape for the jambs and head are installed on the window frame. Once all four lengths of tape have been applied, the window is inserted into the rough opening. ExoAir Trio gasket material is manufactured by Tremco Sealants of Beachwood, Ohio (800-321-7906 or 800-852-8173). The Small Planet Workshop (855-367-7442) sells a 19.7-foot roll of ExoAir Trio that is 2.5 inches wide, intended for gaps that range from 10 mm to 20 mm, for $60.50 ($3.07 per foot). For more information on ExoAir Trio, check out the video below. A North Dakota company, Apex Siding, is selling a new type of siding made of pultruded fiberglass — the same type of fiberglass used to make fiberglass windows. Just as fiberglass windows perform better than vinyl windows, pultruded fiberglass siding should perform better than vinyl siding. Apex sells two types of Apex Ultrex lap siding: one with a 4-inch reveal and one with a 7-inch reveal. Because pultruded fiberglass has a lower coefficient of thermal expansion than vinyl, Apex Ultrex siding can be nailed tight to the wall. Apex Ultrex siding is 90/1000 inch thick — about twice as thick as vinyl siding, but much thinner than fiber-cement siding. Like vinyl siding, it is flexible and bendy before it is installed on a wall. Apex Siding is located in Fargo, North Dakota (888-215-1092). 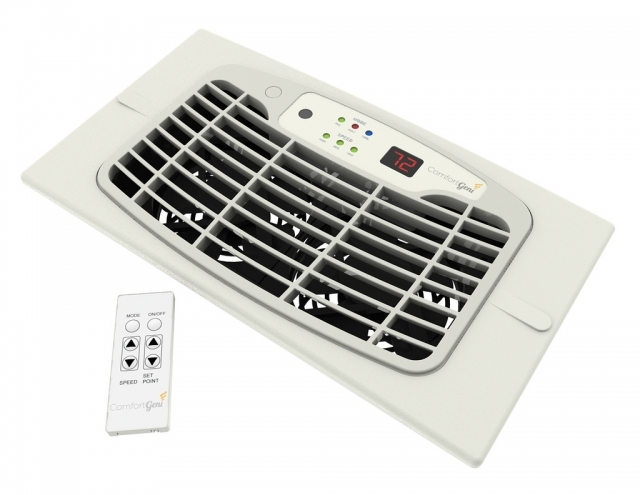 The ComfortGeni is a fan designed to be move warm air from one room in a house to an adjacent room. It is especially useful in homes that have one room that gets too warm — perhaps due to a wood stove or solar heat gain through windows — while adjacent rooms stay cool. The ComfortGeni is designed to be installed in a standard 6” x 10” register boot. It can be installed in a wall or a floor. The unit’s two fans draw only 14 watts. The fans are powered by 12-volt DC motors; an included wall cube that plugs into a standard 120-volt outlet supplies the DC power. There are two models: the ComfortGeni 4x and the ComfortGeni 6xr. The one you want to buy is the ComfortGeni 6xr. It is more powerful and quieter than the 4x — it is rated at one sone — and it only costs $20 more than its little brother. It is controlled by an adjustable thermostat, as well as by a remote control unit. The ComfortGeni 6xr has three speeds; the airflow rate ranges from 115 cfm at low speed to 150 cfm at high speed. The ComfortGeni 6xr can be purchased for $146 on Amazon. ComfortGeni is located in Indianapolis, Indiana (317-650-5348). A company called MJSI is selling a flush valve for toilet tanks that converts any toilet to a dual-flush toilet. 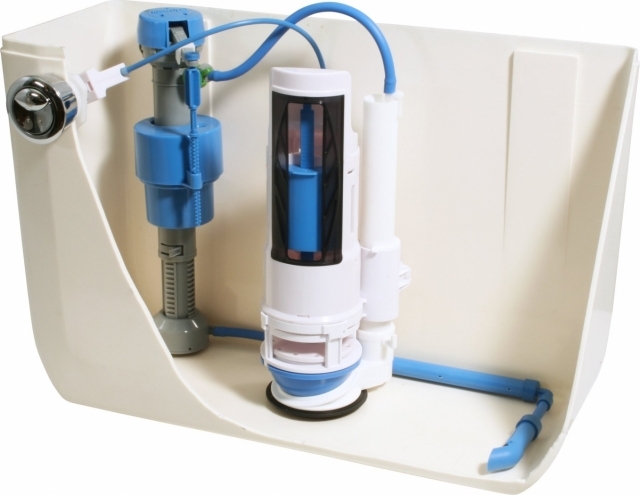 The HydroRight Dual Flush Converter replaces the flush valve inside the toilet tank. The kit includes a button that replaces the flush lever; the button has two options (a small volume flush for liquids and paper, and a large volume flush for solids). Installation takes about 10 minutes and does not require removal of the toilet tank. To install, you have to remove the old flapper and handle, and then slide the dual flush converter down the overflow tube and tighten the unit in place. Then you replace the flush handle with a new button. The unit requires a minimum clearance of 10 inches from the highest point of the flush valve opening to the top of the tank lid. The HydroRight dual flush converter is available from several sources on the web for between $25 and $30. The HydroRight Dual Flush Converter is manufactured by MJSI of Irving, Texas (800-523-5135). it's a bit disconcerting zola won't reveal who makes their windows in poland. is this because the markup is 3x what it actually costs and once people figure that out, they could get them cheaper on their own? I think that most purchasers of European windows want to know something about the manufacturer -- just as any purchaser of a U.S. window wants to know a little bit about the company that makes the windows. How long have they been in business? What's their reputation for satisfying customer complaints? How likely is it that the company will still be around in 10 years if you ever need parts? These are the types of questions that window purchasers ask. If you are buying a window from Marvin (for example), many of these questions can be answered. Purchasers of other brands of European windows -- for examples, windows made by Holz & Form, Bieber, Energate, Gradwohl, Heinzmann, Internorm, Makrowin, Intus, Optiwin, or Unilux -- can research the companies that make them, if they want. However, when it comes to "the Polish manufacturer of windows that cannot be named," U.S. buyers remain in the dark. You hit the nail on the head. Companies like the ones you mentioned openly state who manufacturers their windows. Intus comes right out and openly discloses on their website that the window frames are manufactured by Schuco. Why hide anything? It's never a good thing when pricing isn't disclosed. How do companies stay in business if they aren't up front on the price of their product? Seriously, if I'm planning the siding of a project, how can I even consider a product that has no price information? How to insulate a cathederal ceiling myself from inside house? I live in Trenton, Ontario, Canada a 2 hour drive east of Toronto, Ontario, I need expert advice on situation below insulating cathederal ceilings in house built about 1960's. This house is about 1,180 sq ft floor space, ceilings go from just under 7 ft high on outside walls to 9 -10 ft high on opposite wall. My father in-law bought this house in 1986, has had a musty smell for about the last 15 years. Neither of my wife's parents smelled it l guess living there even though so many told them, my father in-law went to nursing home 2 1/2 years ago his wife went to same home 5-6 years ago both have altimers decease. ( Sorry for bad spelling ). I tried to upload a few photo's, but they are to big for this site, all ceilings have wooden beams each about 46 inches apart. Standing inside the house looking up at the ceiling, the ceiling panels are about 2 ft wide, these panels were placed above the beams and were the original roof. On the attic side of these panels, there is black tar and gravel the panels themselves are about 5-6 inches thick. At some point before my father in-law bought this house in 1986, the roof panels must have been leaking. The prior owner put on a second roof, above the original roof panels, there is about a 10 inch space between the two roofs. The carpenter who helped me gut and refinish the house called the outer roof a stick roof not sure what that means. But the outer roof outside looks like a reg struss roof, my father in-law about 7-8 years ago being cheap put new shingles on top of old shingles. The old shingles had a green moss stuff above kitchen area, wish he had removed them. So having now to remove 2 layers of shingles will be costly, hoping to do a section at a time doing it myself. But due to having to replace about 45 ft or more of outside walls old walls weren't even touching concrete sill plate could slightly push on outside walls and shake them, had to sister allot of floor joices,100% replace all wiring was 50 amp now 200 am in ground, all plumbing replaced and due to walls being so bad had to replace outside siding.list on and on can't borrow anymore just have to save over summer hoping l get some drywall jobs to pay for roof and insulation. Home Depot sells metal panels, picture in flyer shows these being installed over shingles has anyone used these? I would need to remove both layers of shingles, thinking of strapping roof once shingles removed replacing any bad plywood any thoughts on this product? Thinking of using this for home we live in needing shingles as well with in a few years, home we live in l replaced 80% of plywood and shingles ion 2002, hoping can put these sheets of metal over my single layer of shingles on home we live in. For my father in-laws home it has never had insulation in the attic just the panels and the outer roof since he bought it in 1986, which is likely why walls were so rotted and black mold on dinning room ceiling panels. I bought a huge pail of stuff professionals use to encapsole mold clear I will paint it on before putting new gyprock over all ceilings. Should l put pink fiberglass insulation between beams on the inside living area of house panels? I was thinking beams are only 5 1/2'' inches thick, l thought if it is ok to insulate from the inside of the house I would add 2x2's or 2x4's to allow proper thickness of insulation not sure what l need or if the 5-6 inch thick original roof panels would count as insulation. Or should l remove plywood from the outer roof and insulate from outside, either way do l need a 6 mil vapour barrier and if yes where do l put it? Inside l will l hope before winter putting new gyprock on all ceilings once l know how to insulate roof, either above way need to how how to vent the roof? When l renovated last year was only a vent on peak nof roof not properly installed had carpenter put in 4 of those sq brown vents don't think it is enough. Sorry for length of this message, please anyone who can help me with above roofing, insulating, venting of mess above will be very greatful being on a $ 729.00 month disability pension will be hard to save up to do this but am sure the lord will open doors. Many manufacturers don't like to discuss prices. Instead, they leave pricing up to distributors and retailers. If a product wholesales for $1,000, some distributors might sell it for $1,200, while others might charge $1,800. The manufacturers don't want to quote a price, since it might embarrass the distributors who have a high markup. I agree, it's a problem. Wise manufacturers should be willing to give a price -- or at least a price range -- in response to a question from a journalist or an interested builder. Since your post doesn't seem to be a comment related to the product reviews on this page -- and instead appears to be a request for advice on how to insulate your cathedral ceiling -- I suggest that you post your question elsewhere, on our Q&A page. Here is the link: Q&A page. How can l correct crawling space, mildew smell, high hummidity? My name is James Reeves, l live in Trenton, Ontario, Canada l have been working on a house since 2011 my father in-law gave my wife. About mid July/2012 after 4 heart attacks and then a stent in July/2012 we run out of money so now as l get small drywall jobs l try to hope finish this house out to either sell it or rent it. Hoping to complete house and keep it because, of it's location property butts up to our city Trenton city boarder. Once they start to either upgrade or build a new city sewer system plant, this 3 1/2 acers 160 x 900 plus deep lot will increase in value builders could put apartment buildings or about 20-30 homes but needs a city sewer hook up to do above now on septic. Crawl space is dirt floor under the spare bedroom about 14 ft wide x 16 - 18 ft long there is a block wall between this area and the main dirt floor crawlspace. Total house about 1280 sq ft do l need 20 mil vapour barrier or can l put 2-3 layers of 6 mil house vapour barrier?> Can anyone give me advise how to correct this cheapest way but properly that l can do myself with a helper? Under bedroom crawlspace about 210 sq ft, dirt is about 2-3 feet below floor posts on concrete pads then floor sits on beams. The same in bigger crawlspace about 950 sq ft, dirt in biggest space about 5 ft from floor joices. PS:- If anyone lives in my area who could help me, l would exchange my drywall services in exchange. A related product which has the benefits of a wide head (3") and reducing thermal bridging through the screw is Dekfast Iso-Tak made by SFS Intec ("SFS" stands for Swiss Fastening System). I used the 4 1/8" sleeves with 3 1/2 Grabber wood screws to total a 6 1/2" fastener for 6"-thick EPS panels. They worked great. I simply pushed the sleeve by bare hand into the EPS and then used a long bit to drive the screws through the sleeves and EPS into the bottom of my floor joists.